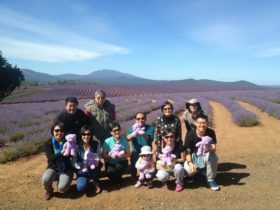 Love Tasmania Tours & Coal River Coaches, a Hobart based coach tour company offering tours to some of the best tourist experiences in Tasmania, experiences we are sure you will love. We offer single day and multi day tours to all parts of Tasmania. 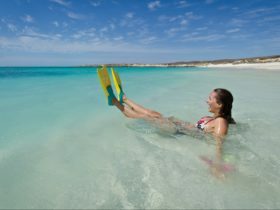 We can show you places that are World Heritage listed, beaches acknowledged as some of the world’s best, wonderfully innovative tourism experiences and the tastiest of produce and food. Not to forget some seriously enjoyable award winning cool climate wines, boutique beers and fine whiskys. We have a range of pre-packaged tours for you to choose from, however we specialise in tailor-made tours for your group. Some of our coaches are wheel chair enabled for two chairs, with an electro-hydraulic lift, restraint straps and seat belts for each. So for your group from two to 200 people, give us a call, our team are waiting to provide you with friendly and efficient service with a smile. We are a 100 per cent Tasmanian owned and operated family business, part of Coal River Coaches who have been servicing the Hobart community since 1995. 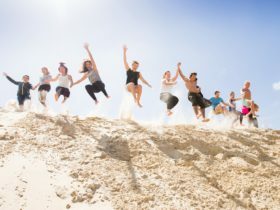 We are an Australian Tourism Accredited business. 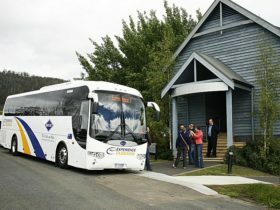 Love Tasmania Tours can customise a tour to suit your group from sizes two to 200. 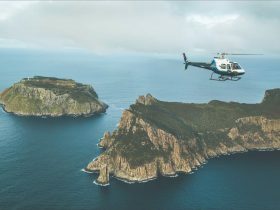 Our team have extensive knowledge and contacts around Tasmania to ensure that the tour tailored for you will be an experience that’s memorable for years to come. We have a range of wheel chair friendly vehicles that can carry a maximum of two wheel chairs per vehicle and include all safety equipment required. For further information, contact us and we’ll put together some itineraries that we’re sure will please. Do you require transportation to Port Arthur, perhaps not for a seven-year term, but for a day or few? With so much to do on the Tasman Peninsula this is an economical, safe and comfortable alternative to those without wheels. 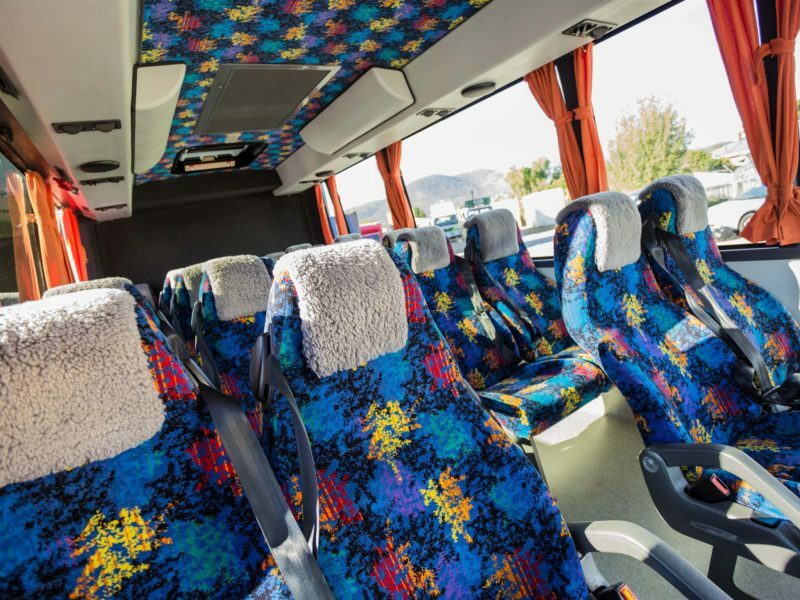 Coach transport is available for the 90 minute journey from Hobart to Port Arthur leaving on Sunday, Monday, Wednesday and Friday mornings at 0830. A return service leaving Port Arthur at 1515 is available, with an airport drop off available if required. Pre booking and payment is recommended to secure your seat. The service includes pickup from selected Hobart hotels and return transport only to Port Arthur (depending on seat availability on the day). Minimum numbers apply on this tour. Return fares are Adults: $66.00, Concession: $59.00, Child (3-16) $38.00. World Heritage and National Heritage listed Port Arthur Historic Site is Tasmania’s leading visitor attraction. A must see on your Tasmanian holiday, the Port Arthur Convict Experience is faithfully recreated amongst the historic ruins in this rich cultural landscape. After a 90 minute drive to the Tasman Peninsular, arrive at the Historic Site to begin a wonderful four and a half hour journey back in time. In your own time, with the help of guides, headphones and a map, you’ll be immersed in the sights, sounds and stories of colonial Van Diemans Land’s notorious penal settlement. Visit the Isle of the Dead, the final resting place for more than 1000 convicts. Enjoy a hearty lunch at the Port Café or perhaps the Museum Café in the Lunatic Asylum Building. On the return journey to Hobart Town a ‘must do’ is a stop at Doo-lishus for a Berry Dream dessert* (at own expense). An airport drop-off is available. 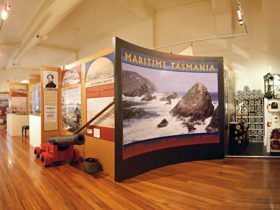 This tour includes pickup from selected Hobart hotels, return coach transport to Port Arthur, admission, introductory guided tour, audio tour with headphones and map plus cruise and Isle of the Dead guided tour. Lunch vouchers are included in your tour price.